Gardinia Replacement Multipoint Door Locking Mechanisms and Gearboxs to repair UPVC and Composite Doors. 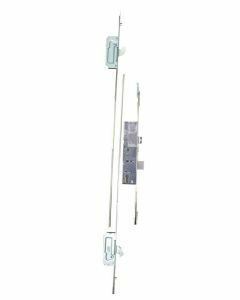 Upvc Spares 4 Repairs have developed the Gardinia range of universal multipoint door repair locks for both Upvc and also timber composite residential doors. This range of multipoint door repair locks are compatible with many older door lock systems that were once available. They are provided as a full lock set kit with all parts provided if necessary. Gardinia Upvc door locking mechanisms and Fullex centre door lock gearboxes are available in various sizes. 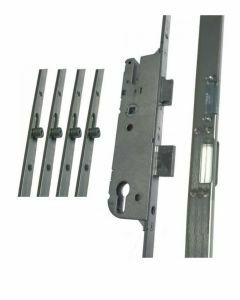 UPVC Spares 4 Repairs is part of Gardinia Windows and is the online company that supplies replacement window and door hardware supplies to the double glazing market. Gardinia have been supplying top quality windows and door to the UK market since 1983 and have seen many hardware products come and go over this time in particular multipoint door lock hardware systems. With this in mind Gardinia have worked extensively with our suppliers, Upvc engineers and our experienced trades people to develop our range of universal multipoint door repair locks for both upvc and also timber composite residential doors and are able to cover almost all types of door sets fitted but no longer available.